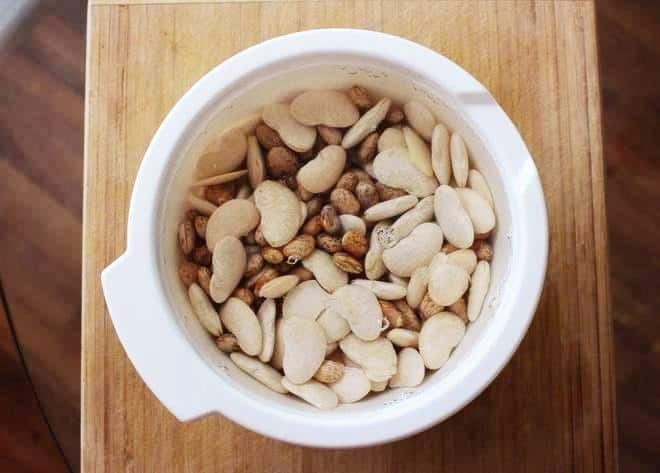 Vegan Runner Eats » Foods » How to Cook Dried Beans 101: the Healthy, Tasty and Cheap Way to Prepare Beans from Scratch. « Week 14 of Marathon Training: All is not Lost! Let me say this loud and clear: I LOOOVE BEANS! I love them so much that the majority of the recipes I make at home feature some kind of beans. My tender feelings towards these protein-loaded gems have led me to devote today’s post to the secrets of their optimal preparation. First off: why should we eat more beans? Beans and legumes contain large amounts of plant proteins, B vitamins, iron, potassium, magnesium, and various phytonutrients. Beans are much lower in fat than meat and dairy while providing good amounts of protein: one cup of lentils contains 17 grams of protein and only 0.75 grams of fat with no cholesterol. Beans contain two types of fiber: soluble and insoluble. Soluble fiber enters our bloodstream and brushes out cholesterol that could be building up in our arteries. Insoluble fiber adds bulk to the contents of our intestinal tract, thus helping foods pass smoothly through our digestive system. 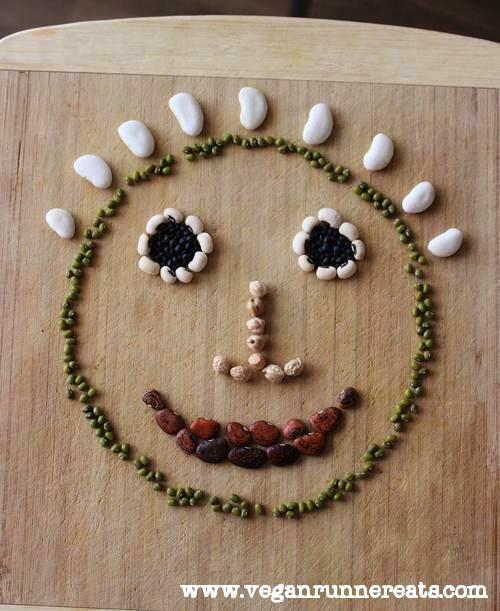 All in all, eating beans does a number of good things for our health and wellbeing! Here’s another thing that I love about beans: they are cheap! A pound of dried beans can set you back as little as 1 dollar (more than that or less depending on the kind of beans). It’s even cheaper to buy beans in bulk, either from bulk bins at your grocery store or online. Dried beans expand quite a bit during cooking, so you can get as much as 2-3 pounds of cooked and ready-to-go beans from a pound of dried. Chickpeas (a.k.a. garbanzo beans) are pretty exceptional in this respect: from my experience, one cup of dried chickpeas yields 2.5 cups of cooked, which I can then use to make 3 different meals for 2 adults. That’s way more frugal than cooking any type of meat! 1 cup of dried chickpeas cooks up into 2.5 cups of ready-to-eat beans! When talking about all of the good-for-us properties of beans, it would be incorrect to leave out a few that may be not that great. Beans have a few components that are sometimes referred as ‘antinutrients’. Among them, phytic acid and lectins are referred to most often. Some diets (Paleo among them) exclude bean consumption completely because of phytic acid and lectins. So what exactly do these nutrients do? Phytic acid may inhibit absorption of some nutrients from food, but it can only affect us if we consume LARGE amounts of RAW beans. Soaking dry beans for a few hours and then cooking them significantly reduces phytic acid content (more on this below). Lectins (plants’ own naturally occurring insecticides) break down cell membranes of any hurtful invaders such as cancer, bacteria, viruses, fungi, etc. If consumed in LARGE quantities, lectins may start attacking normal cells of our stomach lining the same way they attack the intruders. However, soaking and cooking dried beans deactivates lectins (just 15 min of boiling beans does the job), so there’s no need to be worried about causing damage to your health with beans. Conclusion: avoid eating large quantities of RAW beans, and make sure to soak and thoroughly cook your dried beans. How about canned beans? Buying canned beans is convenient and relatively cheap. Canning beans also reduces their ‘antinutrient’ content. However, there’s one thing to look out for: added sodium. Sometimes manufacturers add too much salt to canned beans (salty stuff tastes better, right? ), so it can be easy to overload on sodium in any dishes that you make with those beans. Whenever possible, choose low- or no-sodium canned beans. Recently I’ve made an effort to buy less canned beans, and cook dried beans instead. As I mentioned before, this turns out to be way cheaper, and I find the flavor and texture of home-cooked beans better than that of any canned version. Plus, I can control the amount of salt I add to every batch, sometimes omitting it altogether. This being said, it’s time for some tips on cooking dried beans! – Choose a fairly large amount of beans to cook at once, 1-2 cups or more: you’ll have a lot of cooked beans that you can refrigerate for at least a week and make a few dishes with them as you go. 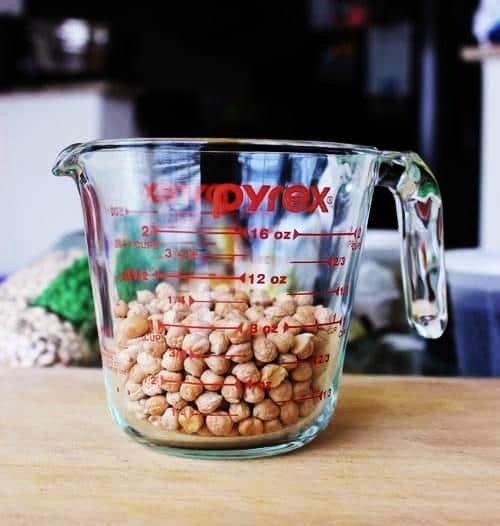 – Soak the beans in lots of warm water (to cover them at least by 2 inches) for at least 4 hours, preferably overnight or 24 hours: this will reduce phytic acid content in the cooked beans most efficiently, plus the beans will cook faster. Some experts suggest soaking beans in 140º F water for 24 hours (or at least starting with that temperature and adding more warm water as the beans absorb it). – Start soaking your beans the morning before the day you want to cook them. The following morning, drain the soaking water, rinse beans, and add them to a pot of boiling water to cook them if you have an hour before you have to leave the house. Most well-soaked beans will cook through within an hour. Better yet, to avoid weekday stress: cook a batch on the weekends when you’re not pressed for time. – Cook your beans in a pressure cooker. I’ve never tried this (don’t have one), but a lot of people prefer to use pressure cookers to prepare beans. – Make your beans even healthier by cooking them with kombu – a Japanese sea vegetable that reduces cooking time and makes beans more nutritious and easier to digest. Adding kombu (as well as soaking dried beans) may reduce gas formation that often follows bean consumption. Kombu can be found in most health food stores or online. 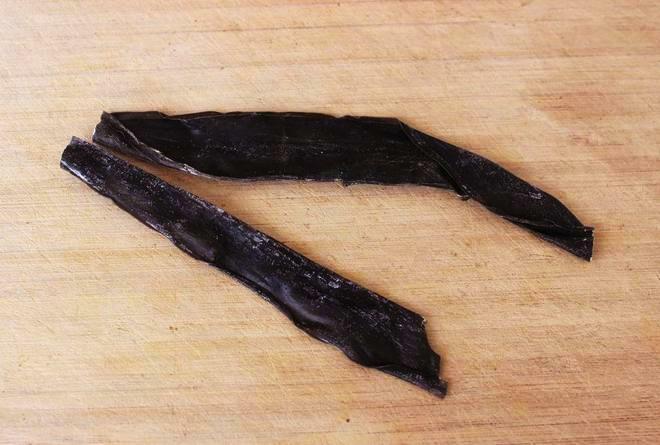 Add a 1.5-inch strip of kombu to a pot of beans while cooking, and then discard after beans are done. Measure out 1 cup (8 oz) of dried chickpeas (this will yield 2.5 cups cooked beans). Put the chickpeas in a medium bowl, add warm water to cover by 2-3 inches (chickpeas expand more than most other beans). Soak overnight, or ideally for 12 to 24 hours. Drain the chickpeas, rinse thoroughly. Never cook beans in their soaking liquid! Bring a pot of unsalted water to a boil. Add soaked chickpeas, a 1.5-inch strip of kombu, and a bay leaf to the pot of boiling water. If planning to use salt, do not add it at this time, wait until the last 5 min of cooking. Adding salt early on can make beans’ texture tougher. Bring the pot back to a boil, reduce heat to medium, and cook for 40-45 min, until a bean fished out of the pot is soft and cuts through easily. If planning to add salt, add about 5 min before the beans are done. Drain the beans once done, remove and discard kombu and bay leaf. The beans are now ready to be used in any of your recipes! If not using cooked chickpeas right away, allow them to cool, and then refrigerate covered for up to a week. Cooking lentils is even easier: you don’t have to soak them in advance, and their cooking time is about 20-25 min, with red lentils cooking even quicker. Have you ever tried cooking dried beans at home? Maybe you prefer to cook them in a pressure cooker? If you have any comments or suggestions, please share below! Vegan Minestrone Soup with a Twist! Tagged beans, chickpeas, cooking tips, kombu, phytic acid. Bookmark the permalink.